Home » Exciting VidProMom Update! Aaaand I’m shaking things up a little bit! I’m not going anywhere, I’m not rebranding my channel, I’m not pivoting my content, but I am expanding the topics I will be talking about here on VidProMom.com and the VidProMom YouTube Channel. This is something that has been on my mind for quite a while now, and, I think it’s time! So, first of all, I have a pretty significant milestone coming up this May. May 13th, 2016 was my last day at my full time “corporate” job! I started VidProMom as an idea, a side hustle, and to be honest, my intention was–from the beginning–to create something that I could one day quit my job to take on full time. But my employer beat me to it when they moved theirheadquarterss to another state. We parted ways and VidProMom became my full-time gig 2 years ago! 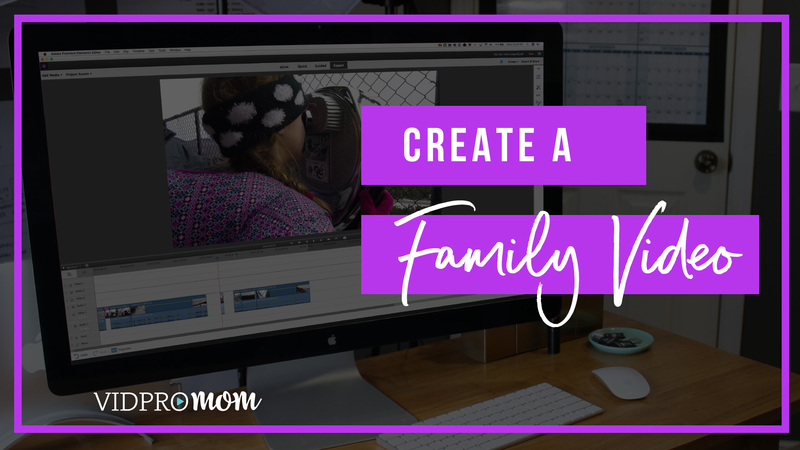 When I started my blog, my goal and vision for VidProMom has been to help families create and capture re-livable moments on video so they can be shared with friends, family, and future generations. It took me like 3 years boil my vision down into one cohesive sentence. And that vision remains a personal mission for me… I’m a mom, I have a family, kids grow up fast, and I want to create and capture as many meaningful, memorable moments with them as possible. I think as parents, we all want that! And I want that for other families too. It’s really important to me that I help other people do that. Because when those moments are gone, they’re gone… unless they’re on video. There is another side of the coin, so to speak, that I’ve been dying to integrate into my content because I just don’t really talk about it much here. 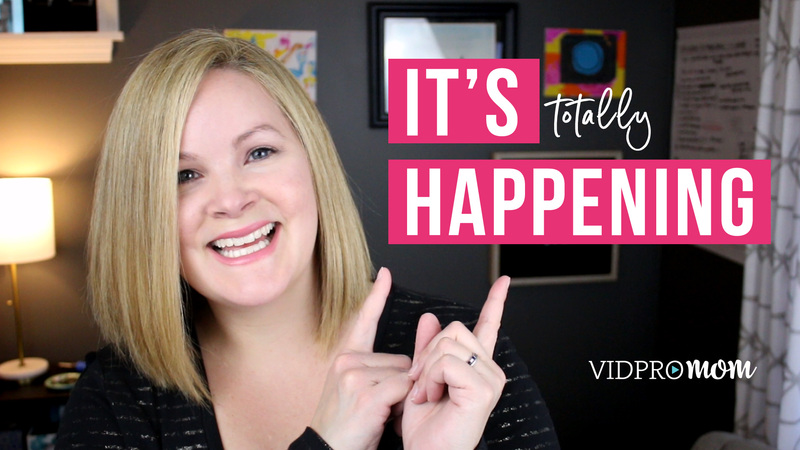 There is this whole other side of what goes into being a YouTuber, a blogger, an influencer, and how that works as a business model, or a side hustle, or just as a way to earn an income doing that… doing THIS! And one of the reasons why I feel compelled to expand the content that comes from VidProMom really stems from the same vision of wanting to help families create and capture relivable moments. 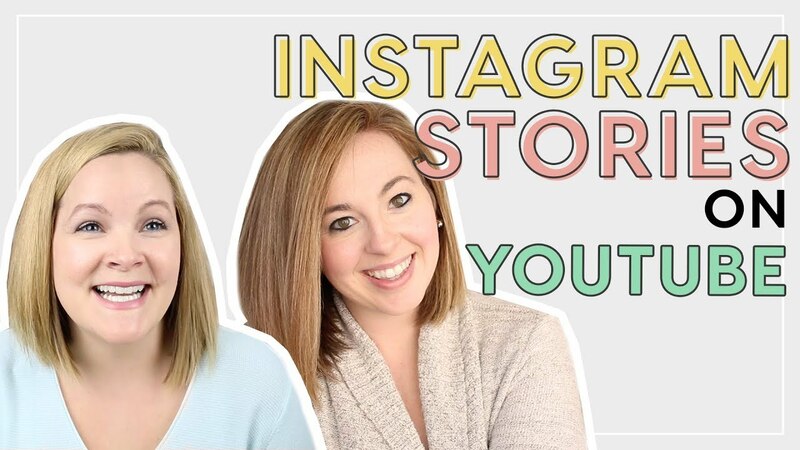 I know there are other bloggers and content creators struggling with youtube and video and spreading their message (and figuring OUT their message) SO THAT they can create a life and a lifestyle to where they can be intentional about creating and capturing their family’s relivable moments. Do you see how those two things are related? It’s two separate concepts but they’re really bound but a common thread of taking intentional action and focusing on what really matters. So this is your official heads up from me that you’re going to see some different types of content here. I have some collabs coming up that I’m excited to share with you, and different topics over the next few months and moving forward into the future. 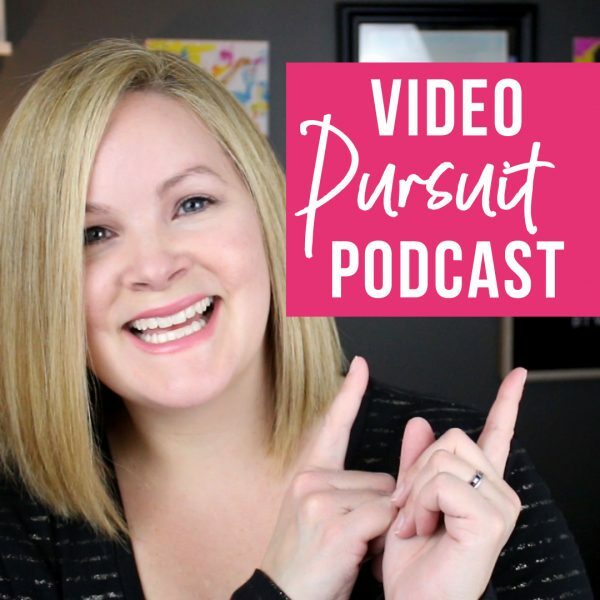 The Video Pursuit Podcast is a weekly show geared toward helping people get serious about YouTube and blogging so they can expand their reach and make more money. So I have a favor to ask… I’m asking my VidProMom family – supporters of my channel, readers of my blog, consumers of my content – to be my podcast launch tribe. So I will be talking about YouTube AND blogging… I think there is a huuuuuuge gap in the space right now. There are YouTubers talking about YouTuber and Bloggers talking about Blogging and but there aren’t a lot of YouTuber Bloggers talking about YouTube AND blogging and how they can work together to amplify the time you spend doing either one. That’s sort of the bridge that I want to create. I want to fill that gap. The podcast will focus a lot on what’s working for me and others right now on YouTube. I will be talking about video and video content, ways you can increase income as a content creator, I have some experiments with video and SEO and the results of those experiments, so that will be fun. The Video Pursuit Podcast is going to be a lot more behind the scenes of VidProMom while I aim to reach my own goals, and what I’m doing to actually go after those goals. But like I said I’m not going to talk about all that stuff on my YouTube Channel, that’s what the Video Pursuit Podcast is for! If it interests you, I have a few preview episodes I want to give you access to in exchange for helping me launch the podcast when it launches publicly on June 1st. So if you want to be my BFF and get access to those pre-launch, bonus podcast episodes, head over to the vidpromom.com/podcast, drop your email address and I’ll hook you up. I hope you’re as excited as I am about this!! My Granddaughter and I are interested in making a you tube channel, I’m 57 and she is 11, so we will need all the help we can find,LOL. Purchased a GoPro Hero 6 and a Shure VP83 shotgun external mic for our you tube channel. I have noticed above comment about the 30 days of GoPro series, I’m going to visit that! Once again thank you for sharing your expertise with us. Thank you for all your knowledge. I glade you are here sharing and helping us. Congratulations on your journey and keep up the great work. YES! This is what I have been hoping to learn! I have a blog that isn’t consistent, I have a YouTube channel a friend help me set up that I could really use some help with, and I learned GoPro editing from you. So, (literally laughing out loud), this is great! Just wanted to tell you THANK YOU SO MUCH for having a passion and a heart to share your skills and knowledge with us! I appreciate it and I will be signing up for your Podcast “tribe”!! 🙂 this comment makes me so happy Genevieve!!! Thank you! Love you Mission/Vision Statement. Look forward to learning. I wish you all the best as you branch out.